3 CAR GARAGE!! FORMER MODEL. Prime location on Halfway Creek WITH A BEAUTIFUL SOUTH EXPOSURE, upgraded tile, Granite Countertops, light wash raised panel cabinets, huge lanai with great space for Outdoor living, Plantation shutters, wood floors and so much more. 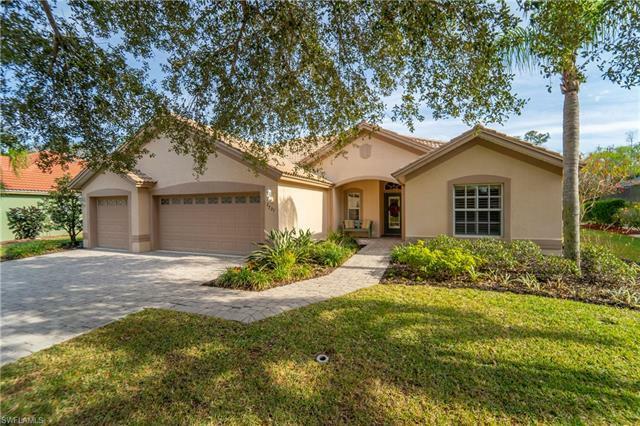 Fountain Lakes is located west of 41 in the heart of Estero across from the Coconut Point Shopping Center. Fountain Lakes includes a 9 hole pitch and putt golf course, fitness center, billards room, tennis, volleyball and shuffelboard courts, barbeque and play area. Selling Agent: Joseph Pavich Sr.